kitchens across the St. Louis area since 1976. Remodeling your kitchen or bath is a huge investment for your home that could add great value when done correctly. For all projects, our experienced designers will meet with you to get an idea of the vision you have for your remodel, also known as a discovery meeting. From there, they will create a design based upon your meeting at no cost, unlike many other companies that will charge a premium for their designs. 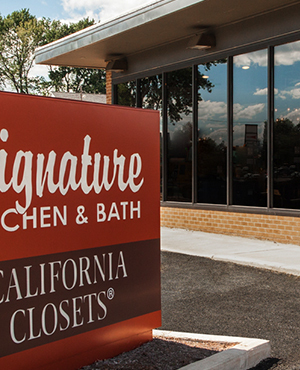 Apart from offering a free discovery meeting with our designers, at Signature Kitchen & Bath, we want our St. Louis area customers to feel comfortable about the investment they are making before actually incurring any costs. Customers should be able to get a feel for the service they will be receiving with our company before having to commit. 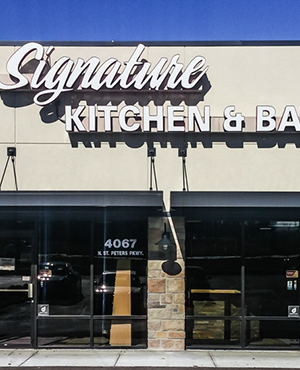 For that reason, we offer an easy to follow four step process from installation to completion where we work with you to develop a personalized kitchen or bathroom remodeling plan and budget that you approve of. During this process, our designers will be with you the entire time and will be available to answer any questions you may have. 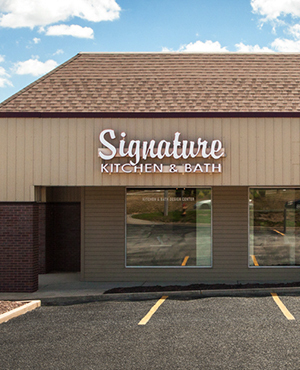 Signature Kitchen and bath is ready to help you plan and execute your next kitchen or bathroom remodeling project. Contact us today to schedule your free design discovery meeting and learn more about your remodeling options. Also visit our kitchen and bath gallery pages for design inspiration for your space.